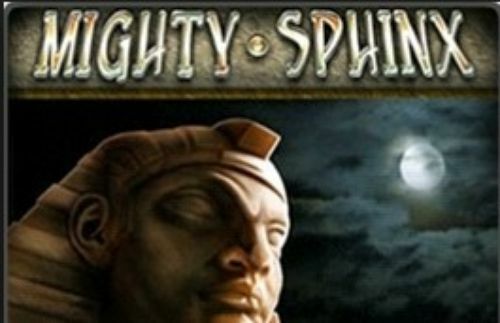 A quirky ancient Egypt-themed game by NextGen has deserved the title A While on the Nile slot. With five reels and four rows, there is plenty of reel action involving some Egyptian artifacts and figures. 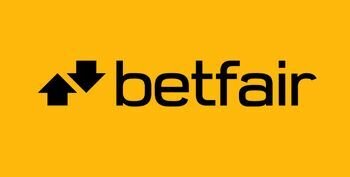 The 50 paylines are deployed all at the same time towards the maximum prize of 41,250. What is more, there are multipliers of up to 10x, a free spins bonus on the scatter symbol and stacked wilds. 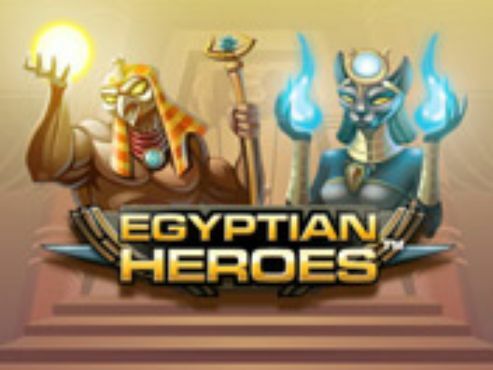 It seems that there is no lack of online slots when it comes to the theme of Egypt. 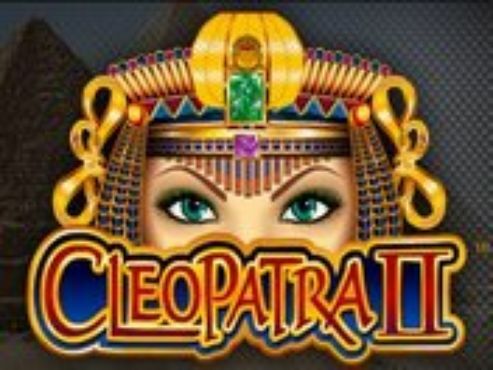 Another addition to the genre is NextGen’s A While on the Nile slots which takes you to the banks of the Nile while Cleopatra keeps you company. This slot game has five reels in four rows and 50 fixed paylines. The Superbet Feature, Scarab Bonus Feature and Free Spins round are here to provide more chances for a win and to make the gameplay more interesting. 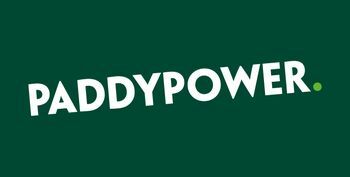 With a variable RTP of 95.01%-96.60%, you can spin the reels for the chance to win 1000x your line bet. 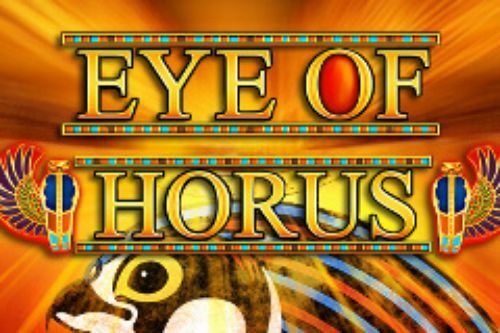 The Egyptian theme is visible right from the get-go with the reels decked with theme-related symbols and a background image of the Nile River with the pyramids in the back. There are two groups of symbols one for the low values and one for the high values in the game. 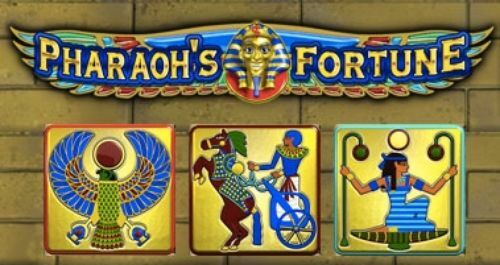 The low-value symbols in A While on the Nile slots include the playing card symbols 10, J, Q, K and A, while the high-value symbols are all theme-related and include a staff, some ancient stone tablet, the Eye of Horus and Cleopatra. The smiling sphinx is the wild symbol which appears only on reels two, three and four. It also appears stacked and substitutes for all symbols except the scatter symbols. There are two scatters – a green jewel on reels two, three and four and a scarab beetle on reels one, three and five. Playing A While on the Nile slots is very straightforward because the paylines are fixed and the only variable that you need to set before pressing spin is the coin denomination. 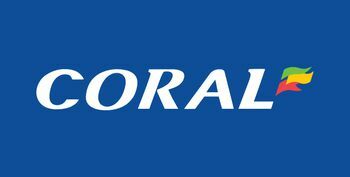 When you click on the red DOWN arrow and the blue UP arrow below the coin stack, you can set your bet for the spin which ranges between £0.50-£10.00. Once you have done this, you can spin the reels by pressing the PLAY button in the bottom right corner of the screen. If you want to enjoy the gameplay of A While on the Nile slots without pressing spin after each round, press the green button with two inverted arrows and select the number of rounds to be played automatically by the game. You can stop the autoplay by pressing STOP. 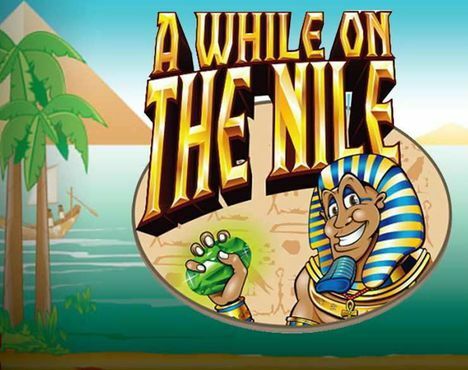 Winning payouts in A While on the Nile slots are awarded for landing combinations of matching symbols on the paylines. The low-value symbols start with the 10 awarding 5, 20 and 50, followed by the J and Q with 5, 20 and 75, while K and A each award payouts of 10, 25 and 100. 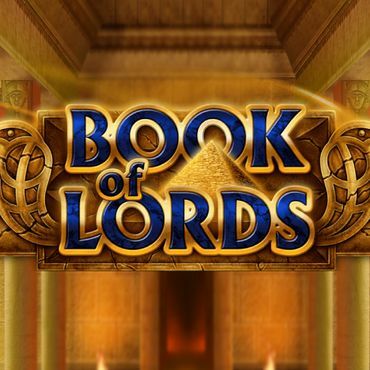 The high-paying symbols start with the staff and stone tablet awarding 20, 50 and 200, followed by the Eye of Horus with 25, 100 and 300, while Cleopatra herself is the game’s highest-paying symbol with 25, 100 and 1000 for three, four and five identical symbols on a payline. Landing three of the scarabs will trigger the feature where you need to pick from the displayed scarabs to win cash awards. When you reveal the Collect scarab, the round will end. Triggered by landing three of the scattered jewel symbols on reels two three and four, you will receive five free spins during which random symbols can be turned wild. You can re-trigger the feature by landing additional scatters. After each win, you are given an option to wager it by clicking the Hearts/Clubs button below the reels. You can double by predicting the colour of the next card, while a correct guess of the suite will quadruple your wager. 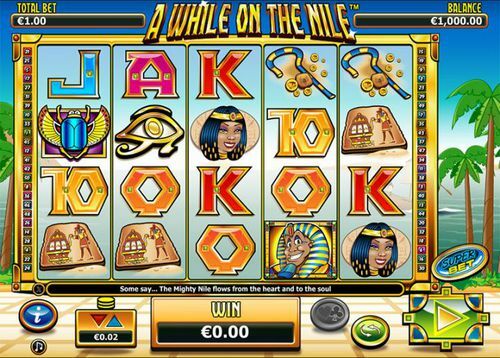 Themed on one of the most recurring themes in online slots, A While on the Nile is a bit of a basic game. 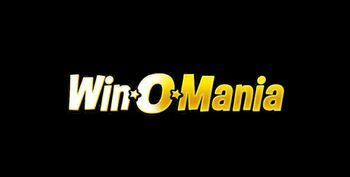 However, it is not a bad game at all because it includes several bonus features providing you extra chances for a win. As we have already mentioned, the game has a variable RTP of 95.01%-96.60%. 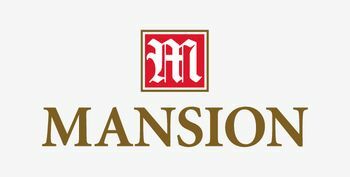 So, choose your welcome package from the online casinos promoted here at Slotswise and spin for the chance to win excellent real money rewards on A While On The Nile!